Constipation can be a real strain— thankfully, there are natural ways that you can relieve constipation. Don’t want to talk about it…or even think about it? Too bad! I’m here to give you a few truths about an alarmingly common condition—and to tell you that you don’t have to just live with it. There are some easy, natural steps to make sure you don’t have to live with the pain and aggravation of this particular health problem. So, I know if there’s one thing that’s not dominating the conversations around the dinner table, it’s your bowel movements. In fact, people don’t seem to talk about them anywhere, which means tens of millions of people are silently suffering through chronic constipation. Talking about constipation might be unnerving for you. It’s personal, and for one reason or another you may draw the line when it comes to broaching the topic—even with your doctor. It’s estimated that constipation is responsible for roughly eight million visits to the doctor every year, and specialists believe that’s just a fraction of the number of people who actually suffer from it. This leads to a lot of discomfort and some serious misunderstanding about the consequences, causes, and treatments for constipation. And according to a new review in JAMA, some commonly held beliefs are wrong. Constipation is defined by having three or fewer bowel movements per week, or bowel movements that are hard, dry, and difficult or painful to pass. The idea that you’re unhealthy if you’re not going once per day is untrue. What is true is that if you’re going regularly, but it’s a struggle, then you’re constipated. And constipation doesn’t mean that toxins are infiltrating your body by seeping through your intestines, nor does it cause high blood pressure, arthritis, atherosclerosis, cancer, or skin disorders. 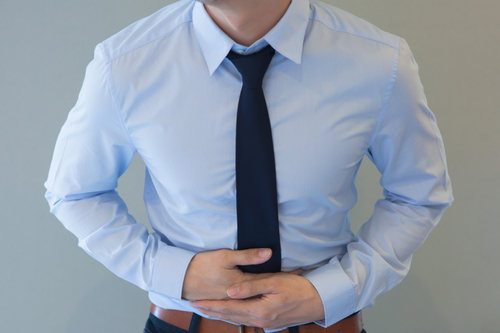 Constipation can be caused by a poor diet or nerves, or it can accompany certain medical conditions. It might be a symptom of a stricture, a tumor, Parkinson’s disease, or multiple sclerosis, or caused by a metabolic condition like low levels of the thyroid hormone or low magnesium. It can also be a side effect of antidepressants, anticonvulsants, antihistamines, or painkillers like oxycodone. One of the first things to do is look at your diet. If you eat a lot of refined foods like white rice, white bread, and processed foods, your diet is probably very low in fiber. This makes it difficult to defecate. Unripe bananas, tea, cheese, and chocolate can also stymie the process. Try eating more foods that are high in fiber and nutrients, like beans, whole-grain cereals and breads, vegetables, fruit, and nuts. Drinking plenty of water plays a big role, and drinking a glass of water before bed can help soften stool, while drinking one upon waking can help stimulate your bowel. Exercise is another way to get things moving; if you’re sedentary, including some more activity into your life can help. And so can coming up with a regular schedule for bowel movements. Drinking a coffee in the morning can regulate bowel movements, so that’s something to think about, too. As long as you’re going regularly—which could mean every two days—and it’s painless and easy, you’ve got nothing to worry about. For those of you who’ve tried everything but continue to live in pain, it’s high time to talk to a doctor. Wald, A., “Constipation Advances in Diagnosis and Treatment,” JAMA. 2016; 315(2): doi:10.1001/jama.2015.16994.